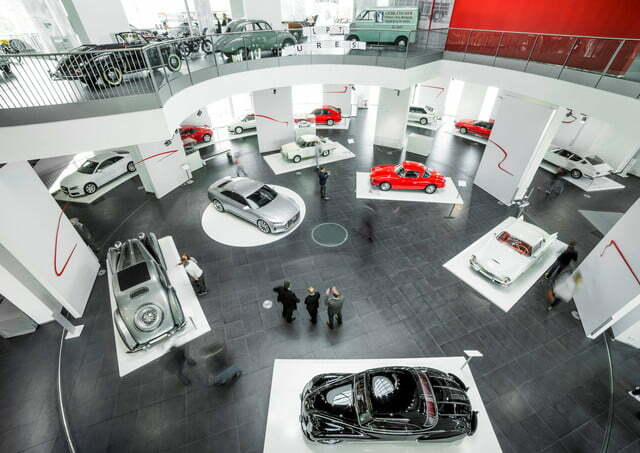 Audi’s history is a labyrinthine web of acquisitions and mergers. The brands Horch, Audi, DKW, and Wanderer came together to form Auto Union in 1932, which explains the company’s four-ring logo. Volkswagen began investing in Auto Union in 1964, and the company merged with another German auto-maker named NSU in 1969. 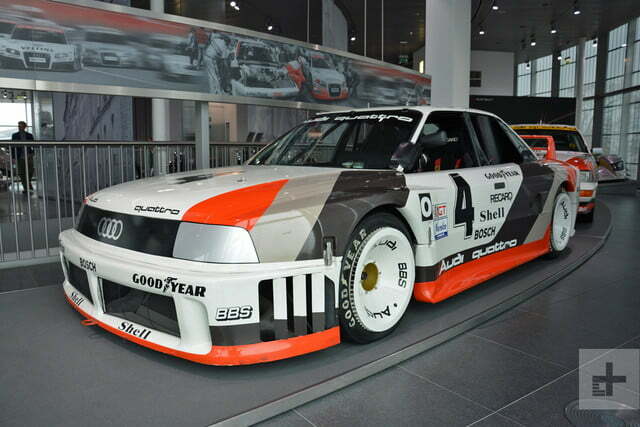 Audi emerged as a standalone brand within the Volkswagen Group in 1985. Still with us? Horch, Wanderer, DKW, and NSU gradually retired to the pantheon of automotive history as executives decided to focus on Audi, rendering the Auto Union name increasingly moot. Join us as we stroll through the company’s official museum in its home town of Ingolstadt, Germany, to learn more about some of the cars that shaped the brand as we know it today. 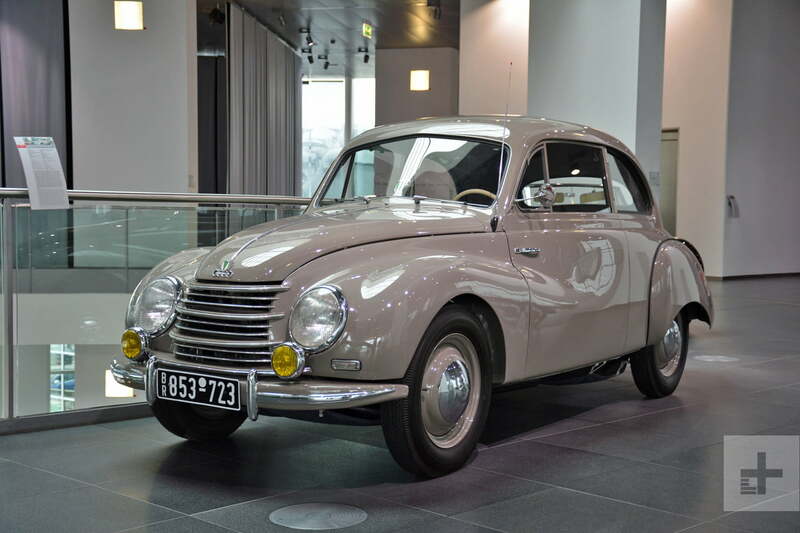 At first glance, the DKW Schwebeklasse catches the eye with its aerodynamic front-end design. Walk up to it and you’ll notice it has a few more tricks up its sleeve: its body is made entirely out of wood, and some parts of it are coated with synthetic leather. 6,000 examples were built from 1934 to 1937. Its successor switched to an all-steel body, which was considerably more durable, especially in an era when paved roads were still a rarity outside of big cities. Presented to the public in 1936, the Wanderer W 25 K used a supercharger designed by none other than Ferdinand Porsche to make 85 horsepower from a 2.0-liter straight-six engine. It could reach a top speed of 90 mph. 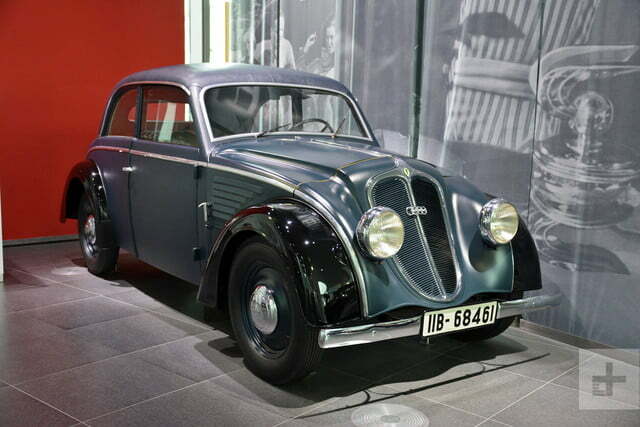 At the time, it stood out from rival models built by the likes of Mercedes-Benz with a contemporary design. Power and drop-dead gorgeous drop-top style didn’t come cheap, even in the 1930s, so only 259 examples were built over a two-year period. Audi’s numerous Le Mans winners trace their roots back to a series of race cars built by Auto Union in the 1930s. Designed for hill climb races, the Typ C/D pictured here boasts one of the most impressive specifications sheets of any car from that era. Its mid-mounted, 6.0-liter V16 engine generates 520 horsepower at 5,000 rpm. Dually-style quad rear wheels helped transfer the power to the ground. Auto Union built just a single example of the Typ C/D. DKW often showed the more basic side of Auto Union. The F89 P was the first passenger car built by the brand after World War II, when demand for personal vehicles reached record highs. The line-up included a two-door sedan (pictured), a coupe, a convertible with either two or four seats, and a station wagon. The sedan used a two-stroke, two-cylinder engine which made 23 horsepower. Nearly 60,000 examples rolled off the assembly line during a four-year production run. The F89’s design markedly influenced future DKW models, and the tiny two-stroke engine lived on. This one-of-a-kind limousine is lucky to be alive. 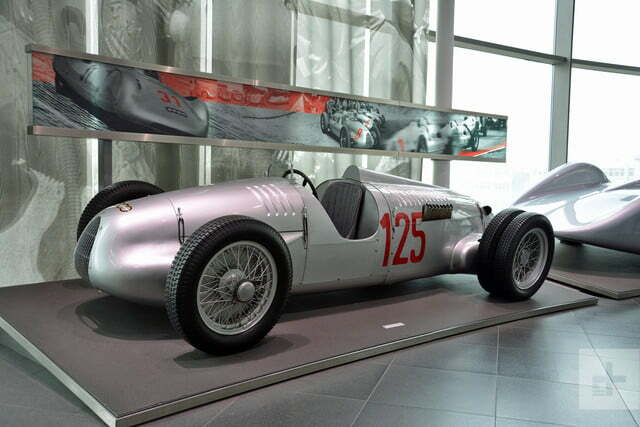 Built in 1953 for Auto Union boss Dr. Richard Bruhn, it was purchased three years later by an American soldier stationed in Germany who had it shipped back to the United States at the end of his mission. Audi Tradition indicates the car was eventually parked due to a gearbox problem and almost crushed, but it was saved at the last minute by a Texas-based enthusiast named Al Wilson. 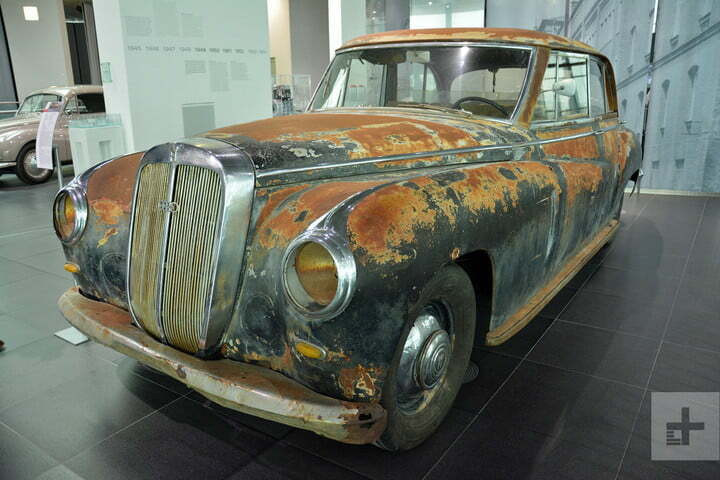 It sat out in the desert for 40 years until Wilson’s sons called Audi to inquire about the car. Astounded by its rarity, the company bought it and arranged shipping back to its homeland. 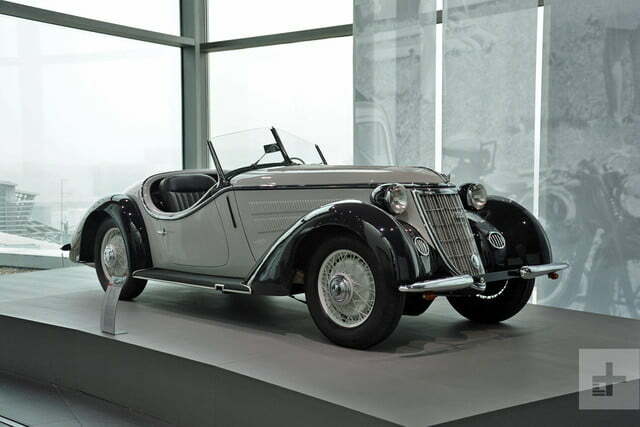 It’s the last Horch model ever made, and historians thought it was gone for good for decades. 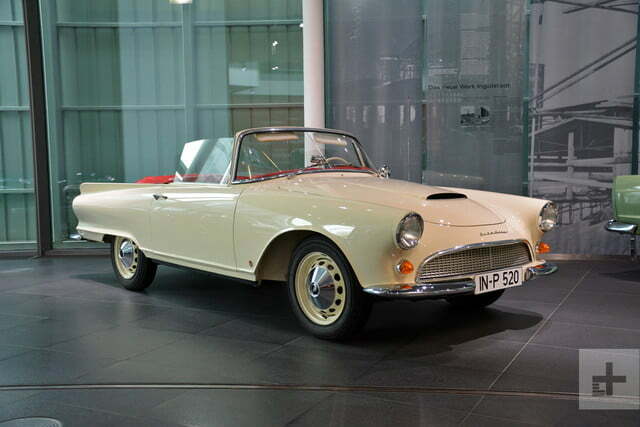 By Audi’s own admission, Auto Union designers drew inspiration from the original Ford Thunderbird when they styled the 1000 Sp. It was much smaller than Ford’s emblematic roadster, however, and there was no V8 to be found under the hood. Instead, it settled for a two-stroke, three-cylinder engine that churned out a respectable 55 horsepower. Production ended after 1,640 examples were built in Ingolstadt. It’s on the same branch of Audi’s family free as modern-day convertible models like the A5. The Audi 50 started life as a successor to the NSU Prinz, which was outdated and way past its expiration date in the early 1970s. It joined the Audi line-up after executives made it clear that NSU’s days were numbered. It was consequently much smaller than Audi’s other cars. Audi exited the city car segment at the end of the 50’s production run to focus on bigger models, and it didn’t return until it introduced the A1 at the 2010 Geneva Auto Show. 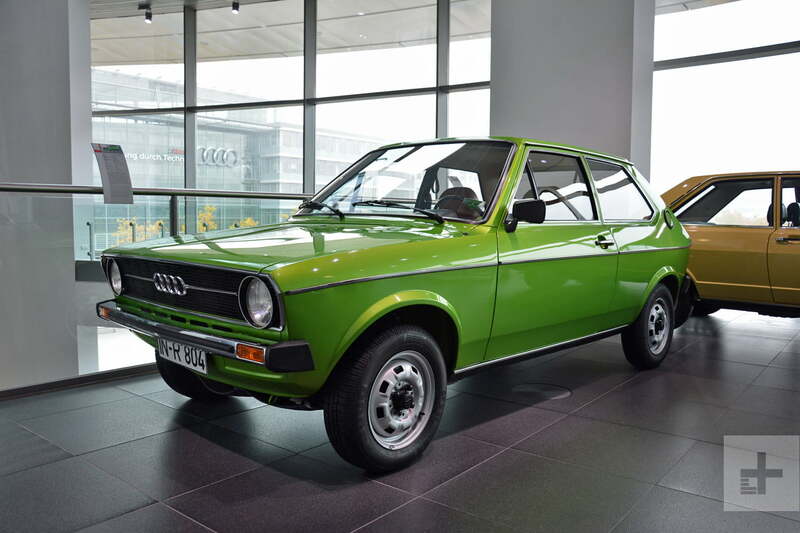 The 50 spawned the original Volkswagen Polo, though, and the nameplate has been in continuous production ever since. We dare you to name a car that did more to forge Audi’s image than the Sport Quattro. Hailed as the most powerful German car at the time of its debut, it sent shivers down its competitors’ spine every time it rumbled onto the starting grid. The Sport Quattro made Audi a force to be reckoned with in rally circles, and the production model it spawned was barely tamer. 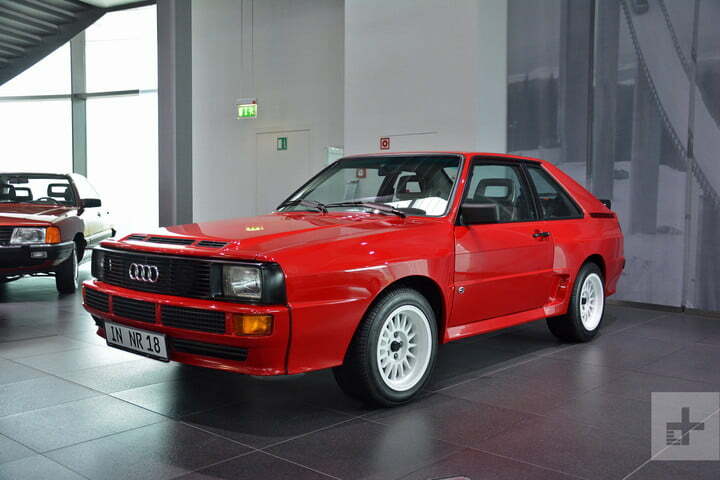 Audi enlisted German coachbuilder Baur to build 214 examples of the Sport Quattro for homologation purposes. The model pictured above is the very first one. Today, the surviving examples are among the most sought-after – and expensive – cars the company has ever built. It’s safe to say current Audi Sport models like the TT RS wouldn’t exist if it wasn’t for the Sport Quattro. Eager to boost both its presence and image on the ever-lucrative American market, Audi signed up for the International Motor Sports Association (IMSA)’s GTO class in 1989. Its entry on the starting grid looked like a 90, a distant relative of today’s A4, but a closer examination revealed it was a purpose-built track beast with composite body panels and a 720-horsepower five-cylinder engine. While Audi was successful, it fell short of winning the championship that year because it missed the endurance races held in Sebring and Daytona at the beginning of the season. No one does hot-rodded station wagons better than Audi. 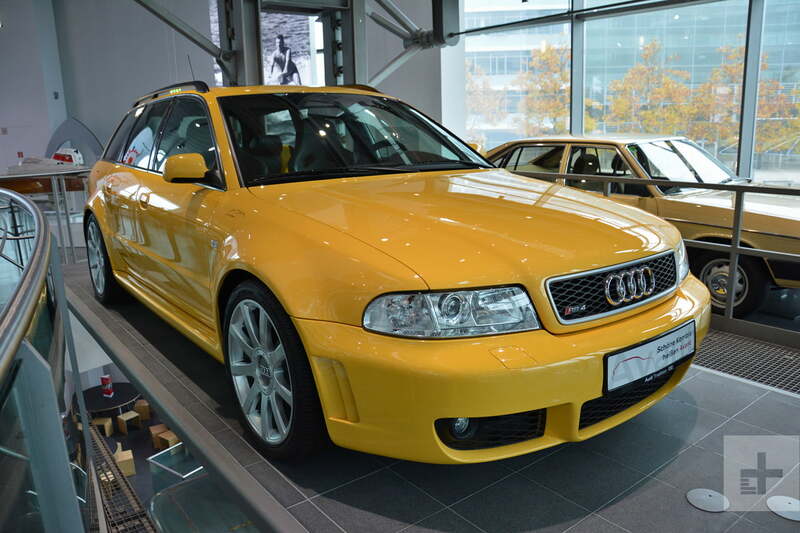 The RS2 started it all in 1994 with some help from Porsche, and the first-generation RS4 took the torch right before the turn of the millennium. It received a 2.7-liter twin-turbocharged V6 tuned by Cosworth to generate 375 horsepower and 325 pound-feet of torque, impressive statistics at the time. Power flowed through a six-speed manual transmission to all four wheels via Audi’s quattro all-wheel drive system. Today’s RS4 offers 444 hp.